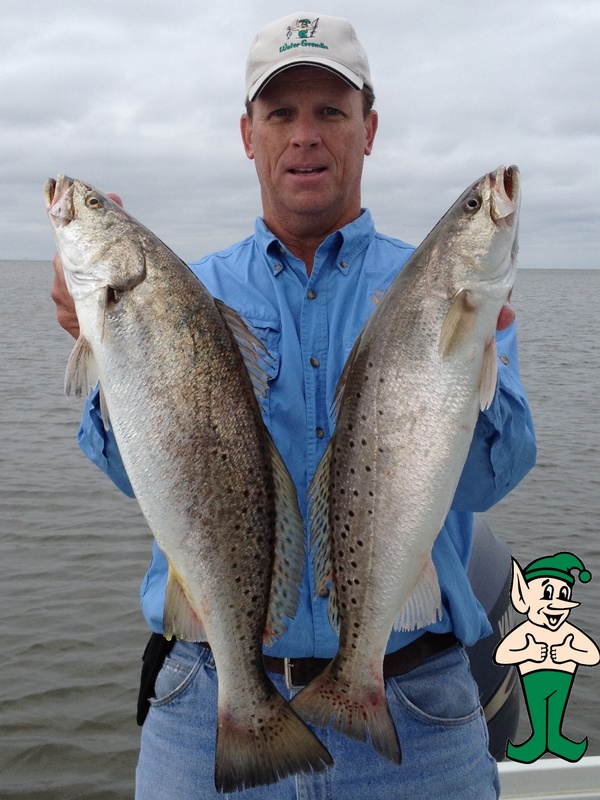 Look at these great Speckeld Trout Captain Scott recently landed using Water Gremlin Egg sinkers. Thanks Water Gremlin for bringing my baits to the fish and keeping me in the strike zone. The Gremlin gives a thumbs up on those beauties.